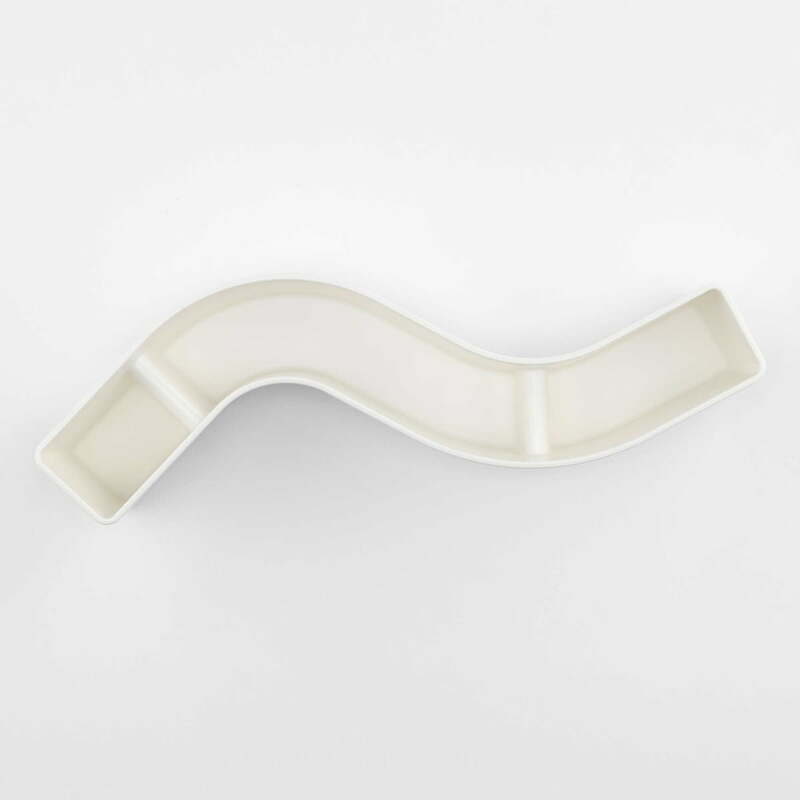 S-Tidy by Michel Charlot for Vitra is a snake-shaped container for many different items. 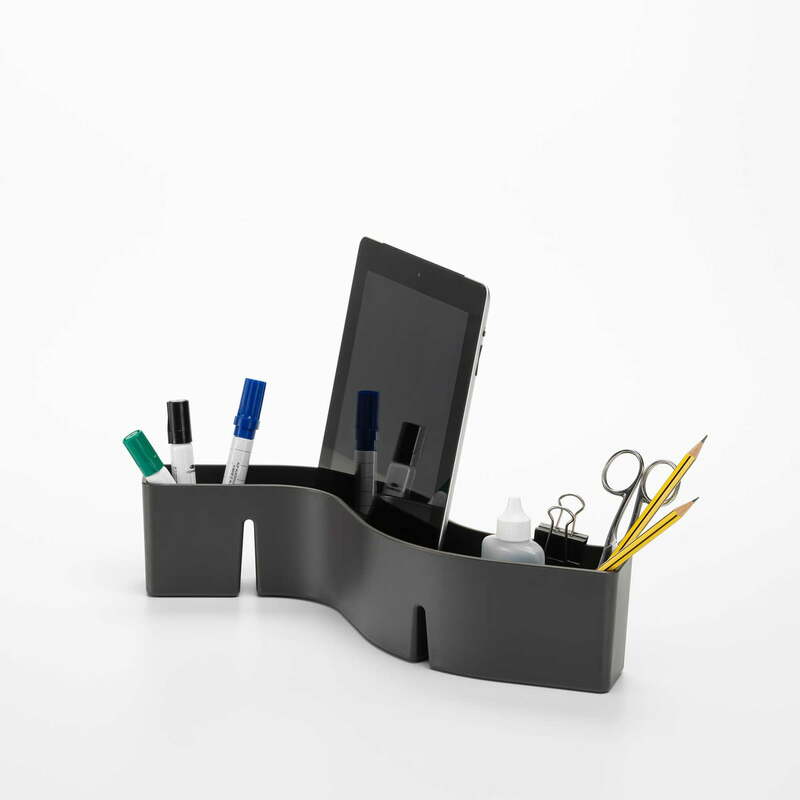 Thanks to its shape, the container is safe from tipping over, making it also suitable for the storage of objects like a tablet-pc. With the S-Tidy, Michel Charlot has created a versatile everyday gadget, that holds the paper clips and pens on the desk and at hand or in which you can keep cooking spoons and other kitchen tools. And also in the entrance area, S-Tidy is a great possibility to store keys, mobile phones and in the bathroom, you have both jewellery as well as make-up in one place. S-Tidy is made from BPA free plastic and is available in various colours. Individual image of the S-Tidy by Vitra in white. 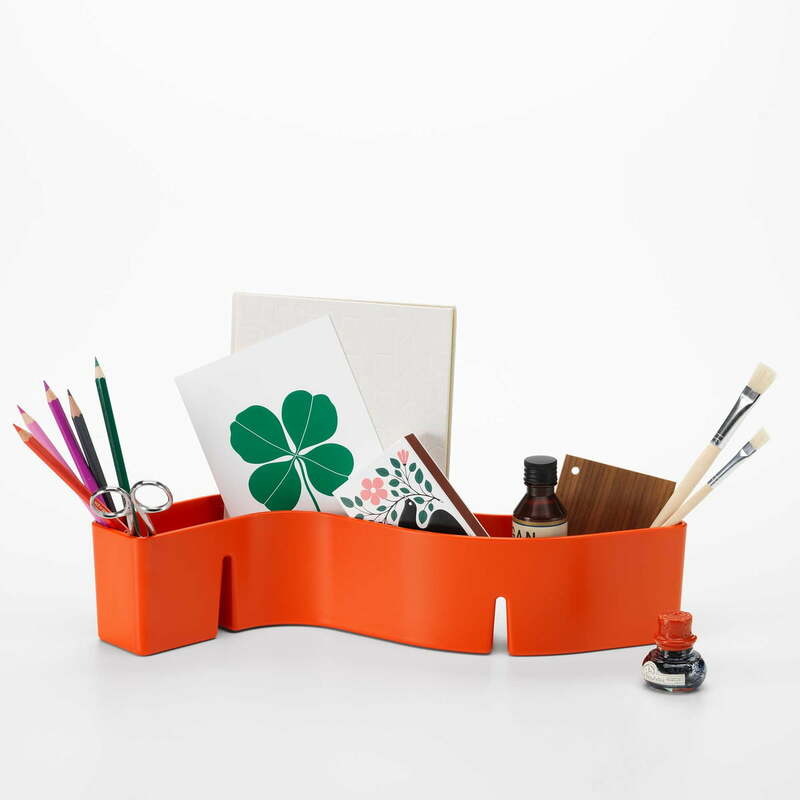 S-Tidy by the designer Michel Charlot for Vitra is a snake-shaped container for many different items. Individual image of the S-Tidy by the manufacturer Vitra in dark grey. 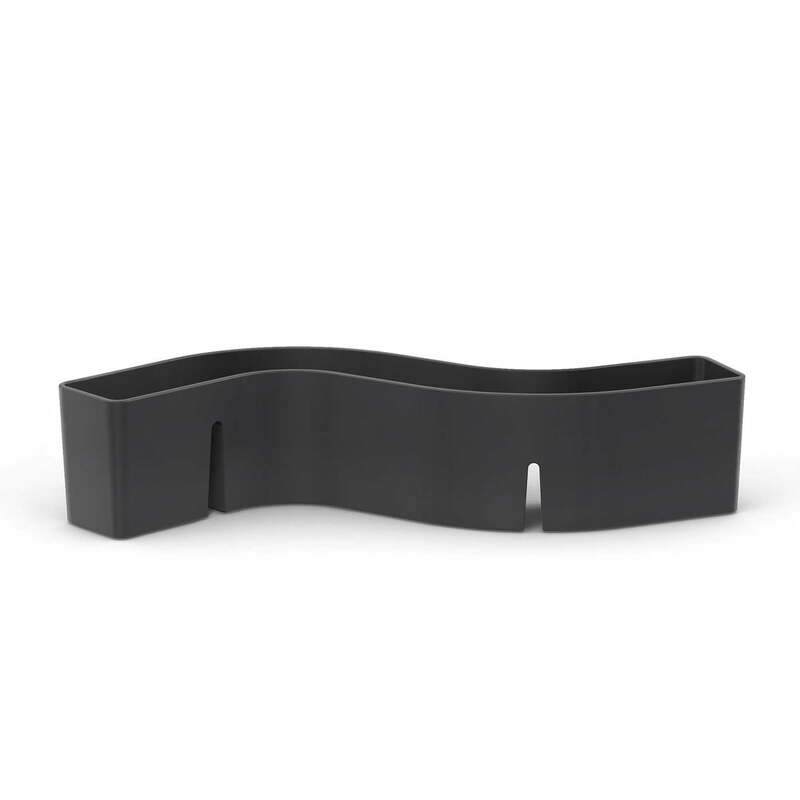 S-Tidy by Michel Charlot for Vitra is a snake-shaped container for many different items. 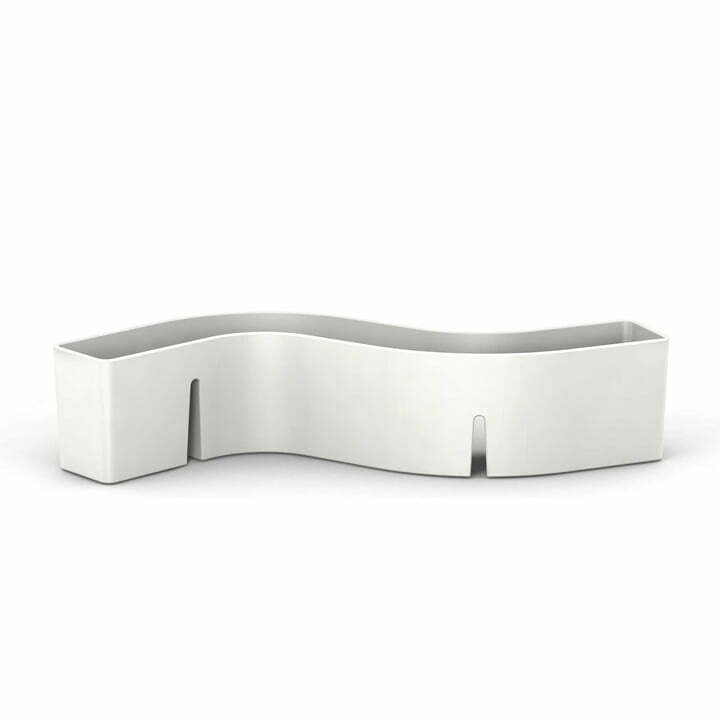 The snake-shaped S-tidy storage container in white by Michel Charlot for the manufacturer Vitra is divided into three compartments for more organisation. With the S-Tidy, the French designer Michel Charlot has created a versatile everyday gadget, which stores the paper clips and pens on the desk without tipping over.